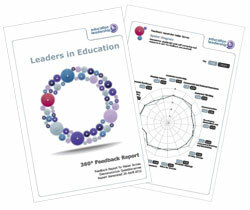 Our 360° feedback tool has been specifically designed for the Education sector by our team with extensive experience of having worked in all four sectors. Our competency frameworks cover all levels of staff, both academic and business support. We have different structures to meet the needs of Schools, Academies Colleges and Universities. We can also add in any specific competencies you want to meet your own needs, usually at no additional cost to you. It is confidential, online and easy to use, giving you the opportunity to support your staff to enhance their self awareness and then use this knowledge to plan their personal and professional development.